FT. LAUDERDALE — There are moments in Love Never Dies, the sequel to The Phantom of the Opera, that will likely startle, or cause many to recoil or gasp in horror and surprise. The unexpected will keep you riveted to the stage. Love Never Dies is in the midst of its first North American tour in a mostly strong equity production that’s playing across the country. Despite unanticipated moments, predictability still hampers the show. As it progresses, you can, for the most part, ascertain where this Andrew Lloyd Webber show is heading. But the element of the known isn’t all bad for this show. We know, even before seeing an Andrew Lloyd Webber musical, that it most likely contains glorious, haunting, spellbinding and soaring melodies. That is the case with Love Never Dies. Its intoxicating, breathtaking songs and Glenn Slater’s heartfelt lyrics will make the cast album a must-buy on your holiday shopping list. A fine cast sings the songs with flair, backed by a lush-sounding live orchestra. Fans of Phantom of the Opera will be happy to hear that, like that beloved musical, the score for Love Never Dies has a sticky quality; melodies will play in your mind the next day, or week. The score, with some reminders from Phantom, is mostly on par with that record breaking musical phenomenon. In 2013, Phantom found its way into the Guinness World Records as the longest-running show in the history of Broadway (musical or play). It racked up more than 10,000 performances, surpassing Cats. 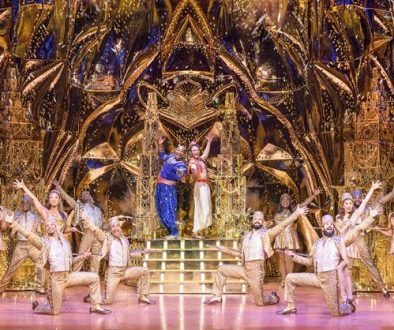 The show, which will celebrate its 30th anniversary in 2018, reached its 7,485th performance on Sept. 10, 2000. It’s a pretty safe bet that Love Never Dies will never come close to reaching such heights. While it has improved from the original London version (2010-2011), the re-worked 2011 Australian version, which this tour is using, still suffers from a less-than-stellar book. 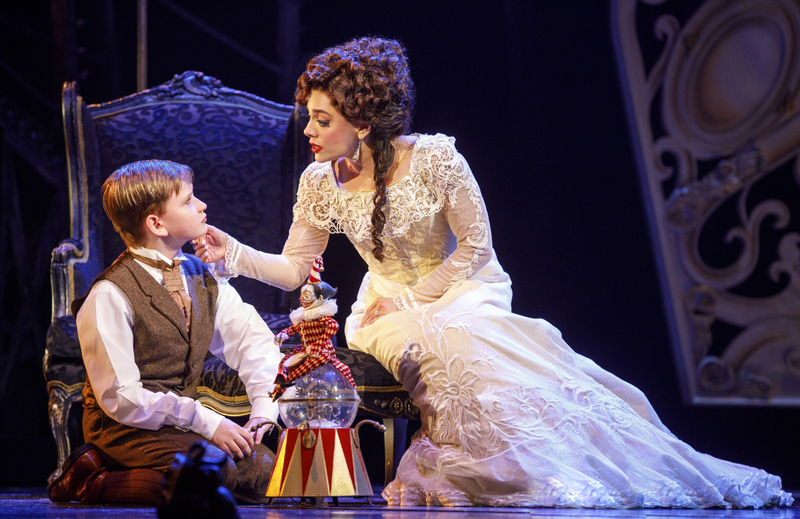 Christine (Meghan Picerno) shares a moment with her young son, Gustave (Jake Heston Miller). (Photo by Joan Marcus) g.
Remember how engrossed you were when, in “Phantom” Raoul and the masked man were fighting for Christine? Sure, both men had their flaws, but they were well-meaning in their own way and easy to sympathize with. Well now, Raul is drunk, addicted to gambling, short-tempered and impatient. Gone is his dashing demeanor, or any hint of a “knight in shining armor.” There’s no shifting of allegiances here. We want Christine to be with the Phantom, and every indication suggests that’s what will happen. Raul, while he’s a jerk, poses no threat or conflict. As for the emotionally-hurting musical genius, well, he hasn’t changed much since he lost out on Christine to Raoul 10 years ago at the Paris Opera House. While he can still be menacing, he’s mostly the same tortured freak madly in love with Christine. No, love never dies. But neither, apparently, do hurt feelings over jealousy nor the belief that someone’s ignored you and didn’t value your contributions. These latter feelings lead to a bizarre, melodramatic ending involving a plot of revenge and a decision that has unintended, tragic consequences. 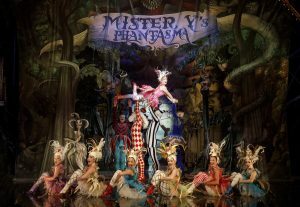 In Love Never Dies, the Phantom now heads a freak show called Phantasma at New York City’s Coney Island. He oversees acts involving circus and vaudeville-like characters. 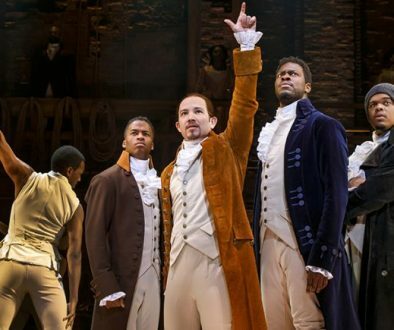 Kudos to costume designer Gabriela Tylesova as well as wig and hair design by Backstage Artistry for the visually-enthralling costumes that make these people look colorful, to say the least. The Phatasma acts aren’t first and foremost on the Phantom’s mind. Phantasma’s performers show off their stuff, but the Phantom has only Christine on his mind and is not watching. In desperation, the Phantom summons Christine to Coney Island – only she believes she’s headed to America for an entirely different reason. She arrives, in style, with Raoul (a brooding, impatient Sean Thompson) and their young son, Gustave. Part of the problem with the book is that the dark, dramatic momentum is too often interrupted by the light, silly acts of the Phantasma freaks. 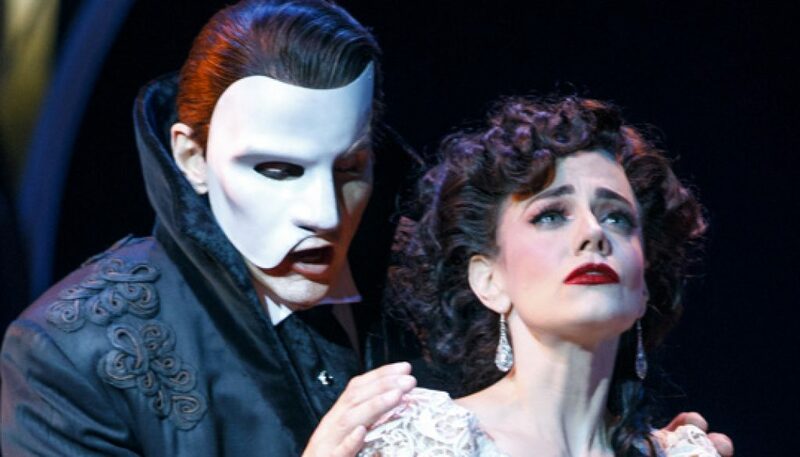 For instance, the musical begins perfectly with an “I Want” song; the Phantom, desperate to hear Christine again, sings the desperation-filled “’Till I Hear Your Voice Again,” which builds in a crescendo. During the reviewed performance at the Broward Center for the Performing Arts in Ft. Lauderdale, an understudy, Bronson Norris Murphy, played the Phantom. He seemed a bit youthful for the part, but the versatility, authentic ache and intense emotion in his strong voice made him seem like a pro. His phantom, who seems to need Christine as much as he needs air to breathe, isn’t some creepy madman. He’s a tormented soul who can’t help himself. You feel for the man – especially when young Gustave (a sensitive, sweet-voiced and curious Jake Heston Miller during the reviewed performance) finds the “beauty underneath” the phantom and finally embraces him rather than recoil in terror. “The Beauty Underneath” is one of the songs in the show whose lyrics, during the reviewed performance, were unintelligible. Meghan Picerno, who plays Christine with a motherly gentleness and an almost ethereal sensitivity and beauty, shines while singing the title song. She wraps her soaring voice around the melodic number, which the phantom has composed especially for her. Picerno beautifully hits the highest notes while sounding clear. Rauol and the phantom make a bet on whether Christine will comply with the latter’s request that she sing it. A lot hinges on the bet. However, there’s no doubt or tension in the air before she’s onstage singing. Other musical highlights include the romantic and nostalgic “Beneath a Moonless Sky” and “Once Upon Another Time.” The songs, sung with authentic feeling by Picerno and Murphy, recall the Phantom and Christine’s past together. During such intimate moments, lighting designer Nick Schlieper deftly matches the song or scene’s mood. That’s particularly true when a starlit sky appears. Schlieper and design supervisor Edward Pierce creatively use lighting effects to suggest the attractions of a lit-up, appealing Coney Island. Tylesova, who doubles as the scenic and costume designer, has created a playing space with ladders and other structures, which reinforce a sense of danger and daring surrounding turn-of-the-century Coney Island. Her multi-level set design also allows for variety; we can see performers from different vantage points and they can be easily highlighted when necessary. Stage fog helps create an otherworldly effect. A less effective part of the set is the oversized Phantom mask that appears on the proscenium. It merely takes up space; we know the Phantom is central to the story. The mask seems to unnecessarily scream that fact at us. Director Simon Phillips guides the cast with sensitivity, but why do Christine and Gustave have English accents when they’re from France? While Love Never Dies isn’t as strong as The Phantom of the Opera, the familiar characters, eye candy and sumptuous melodies make the sequel a mostly satisfying theatrical experience. 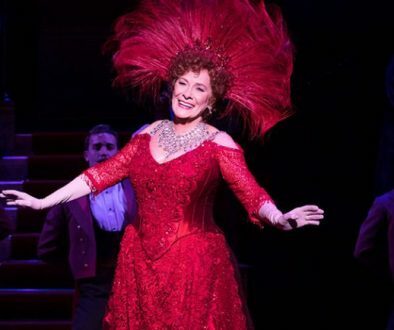 One thing that could strengthen this show — and even Phantom of the Opera — is a song in which the title character explains what it is about Christine that enamors him so much. The North American touring version of Love Never Dies is scheduled to make stops in different cities across the country. For times, tickets and venues, visit www.loveneverdies.com. 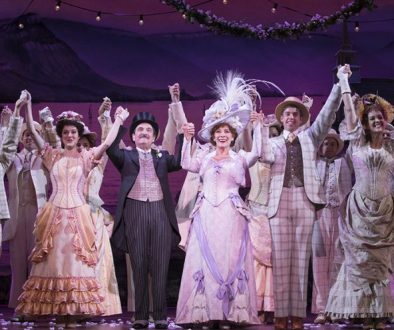 Hello, indeed, to a dear Dolly!